For many years the World Bank Group and IMF have enjoyed a monopoly in global development finance. Critics have always castigated the IMF and World Bank for having loans conditionalities focusing on liberalization of trade, finance and investment sectors. The two development banks have not been able to resolve economic problems in member countries. As if that is not enough, WBG’s many infrastructure projects have been accused of causing environmental and social implications for the local communities among other accusations. The New Development Bank NDB BRICS was officially formed in 2015 to challenge the status quo in global finance. This development bank was originally created by Brazil, Russia, India and China. In 2010, South Africa joined the group and changed its name from BRIC to BRICS. The ‘S’ in BRICS stands for South Africa. All the five permanent members are developing but newly industrialized countries with fast growing economies. The BRICS is established by countries with a population of 3 billion or 41.4 percent of the world’s population. The BRICS contribute over 25 percent of the world’s GDP with a combined GDP standing at USD $16.03 trillion. The bank has its headquarters in Shanghai, China. The first BRICS summit was held in Yakaterinberg, Russia. The summit brought together Hu Jintao, Manmohan Singh, Luiz da Silva and Dmitry Medvedev to the discussion table to discuss the possibility of creating a global finance institution. President Jacob Zuma attended the BRICS Summit for the first time on April, 2011 in Sanya, China. South Africa got its chance to host the BRICS Summit in June, 2013 in Durban. At this conference, members agreed to fast track the formation of NDB. Later on the process stalled because of disputes on location and burden sharing among members. NDB BRICS operates differently from the World Bank and IMF because each member country will be assigned one vote. In addition to that, no country has veto power. BRICS is a popular institution that is fast growing as seen in the number of countries that have expressed interest to join the NDB (Greece, Indonesia, Turkey, Argentina, Egypt and Nigeria among others). In terms of size, NDB BRICS might not match the power held by World Bank and IMF but it is a clear signal that many people are not satisfied on how World Bank and IMF are managed and run. BRICS started the NDB with a capital of USD$100 billion. This is lower compared to World Bank’s USD$232 billion and even lower than the Asian Development Bank’s capital base of USD$ 165 billion. The NDB BRICS is nearly equivalent to African Development Bank (AfDB) in terms of lending capital base. The Tunis-based AfDB has a capital of USD$103.5 billion but it was formed in 1964. This shows the pace at which NDB BRICS will grow in future. 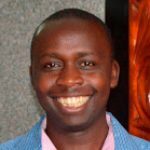 Geoffrey Kerosi is an economist and human rights activist based in Nairobi, Kenya.